Booking to Glasgow up to -70% off To take advantage of these offers, join now for free! Book your hotel in Glasgow online. Discover our offers up to 70% Off on Flight + Hotel ️. The Best Deals with Voyage Privé. 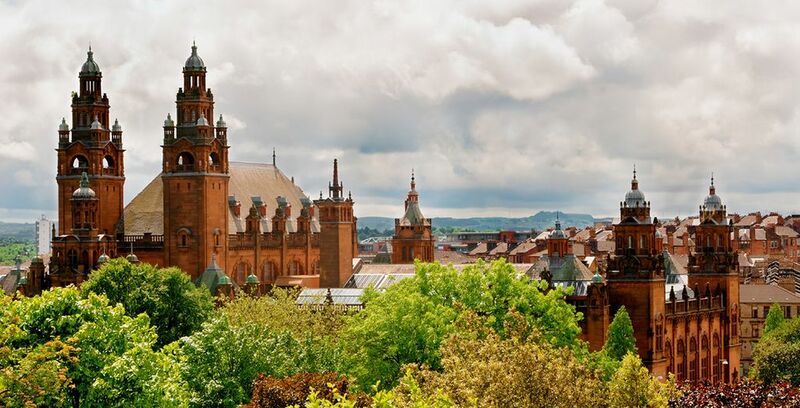 Do you want to stay in Glasgow for your next trip? Here are our best plans to find the top hotels at the best prices. 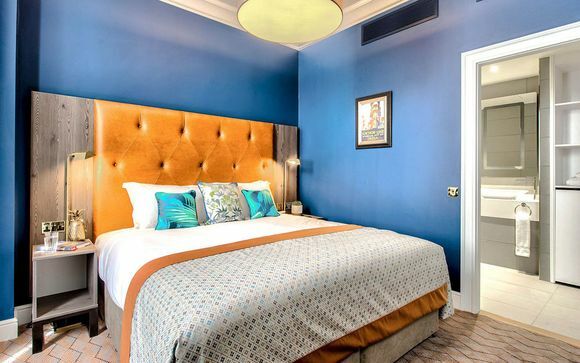 A four-star, beautiful hotel set in a prime location of this Scottish city, the Hallmark Hotel provides convenient luxury in spades with an on-site spa, brasserie and wellness centre in addition to easy access to local landmarks, museums and shopping areas. Freshly designed, perfectly modern and within a five-minute radius of some of the city’s finest attractions, the Native Glasgow offers you a new perspective on a city break hotel with brand new design features inside an attractive art deco package. As centrally located as its name suggests, the Grand Central Hotel Glasgow is one of the gems of the city, offering the culture, arts and museums of Glasgow just a short distance away. Complete with 19th-century design features and classic elegance, this four-star hotel is the perfect pick for lovers of old-fashioned style and charm. 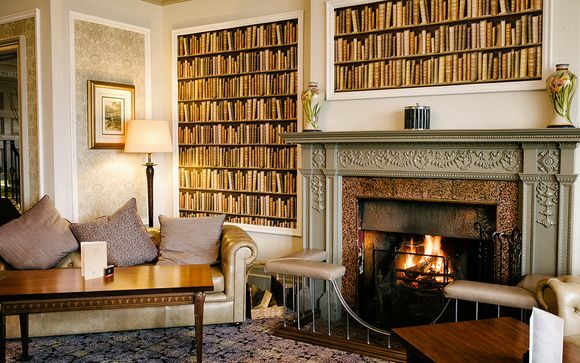 Play lord and lady of the manor at this 19th-century five-star accommodation that fits perfectly in with the old-world charm of Glasgow’s architecture and style. A beautiful Georgian townhouse complete with spa facilities, Blythswood takes luxury to the next level. Step out of the city and take in the breathtaking scenery that surrounds Glasgow with this four-star hotel on the edge of Loch Ard. With an on-site award-winning restaurant and access to some of the best views Scotland has to offer, you’ll never want to leave the green and verdant grounds of MacDonald Forest Hills. Situated in the heart of Glasgow, with all the amenities you expect from the Doubletree by Hilton brand, this four-star hotel provides easy access to some of the best architecture in the city, including the beautiful Glasgow Cathedral, as well as local shopping and museums in the city centre. Our reviews on Glasgow and its hotels: why make your booking there? 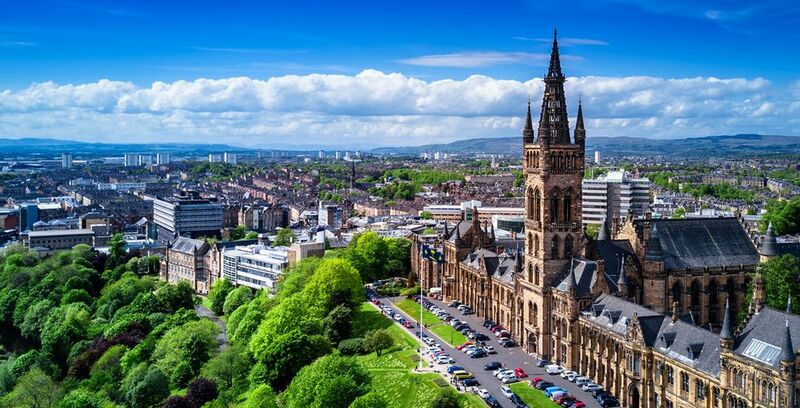 A historic and beautiful city, Glasgow is one of the premier places to visit in Scotland if you’re looking to get a taste of city life and local culture, with a blend of old-fashioned arts and architecture sharing space with modern shopping and boutique stores. From family trips to individual journeys, picking a hotel that’s the right fit for your visit is just as important as planning your itinerary, allowing you to immerse yourself in local Glasgow culture – from up-and-coming modern hotels to nineteenth-century period pieces. Looking to make a booking for your chosen hotel in Glasgow? Join us today for free to get up-to-date information and offers on top hotels in and around the Glasgow area. We can help you plan that next adventure, and even create an alert so you’re the first to know about upcoming deals. Keep an eye out for exclusive offers with up to 70% off some truly fantastic hotels in the Glasgow area and at countless other locations around the country and abroad. Our mobile app provides all the information to you direct from your mobile device, too. Got a plan in place for getting to Glasgow? We can provide you all the information you need to book your travel and hotel through our service, or alternatively, you can simply book your favourite hotel right here and now. Right in the heart of Glasgow’s city life surrounded by stunning architecture, booking a hotel in the centre of Glasgow in the Merchant City area is the best way to be close to the action. Situated on the doorstep of green spaces and local museums and galleries, for the more culturally-minded traveller Finnieston might be the right area to book your hotel in. 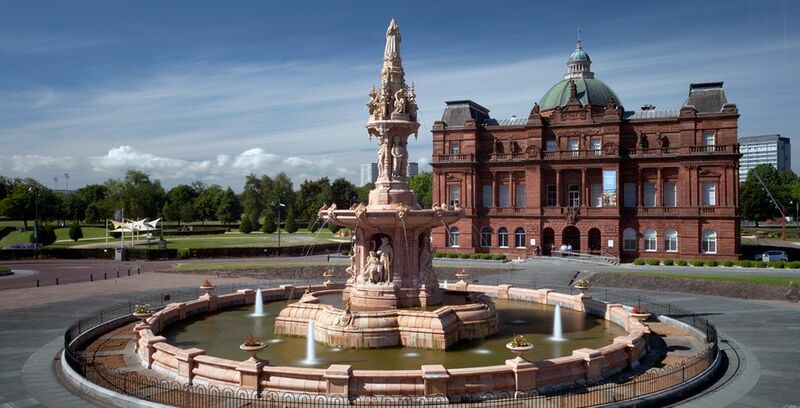 Located close to some of Glasgow’s many parks, as well as having links to family-friendly activities such as the science museum, Ibrox might be the ideal choice for younger families. Located near one of Glasgow’s premier golf courses, and a little further away from the hustle and bustle of the city centre, leafy Parkhead is the perfect compromise for comfort and relaxation. 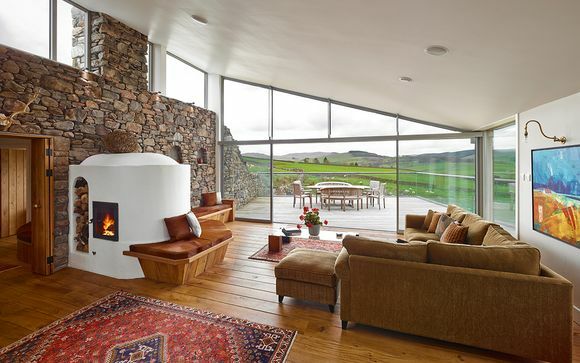 Close enough the Glasgow to offer easy access to the city, but far enough away to experience the nature and rural feel of Scotland, choosing Lochside accommodation offers the best of both worlds. 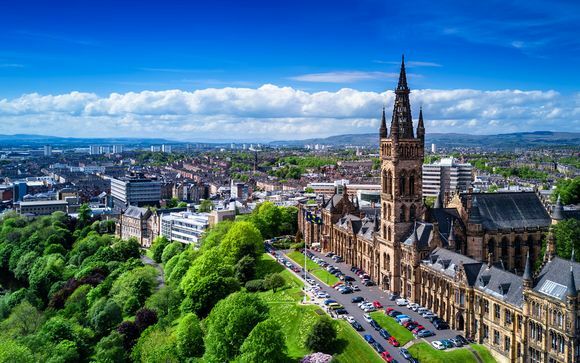 One of the most well-known cities within the Scottish borders, Glasgow is a city on the rise, with a burgeoning culture and arts scene alongside its historical importance and classic architecture. For those looking to experience great food, fun nightlife and culture-filled days, Glasgow is the ideal choice. From local Scottish delicacies such as Haggis to more international offerings, Glasgow may be more on the rainy side, as with much of the rest of Scotland, but it more than makes up for it with the endless charm of the city. There's plenty to do for the whole family from those with small children to solo travellers. 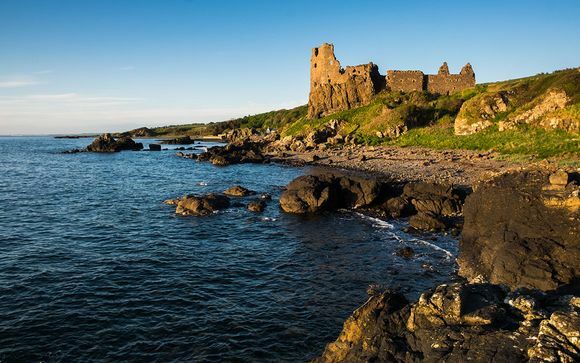 Travel outside the city limits and you’ll soon find yourself in one of Scotland’s plentiful national parks or Loch areas, where you can enjoy the more natural side of Scotland’s complex and varied culture. From guided tours of Loch Ness to the local Loch Lomond, there is plenty of chance to see life on the water from Scotland’s second largest city. 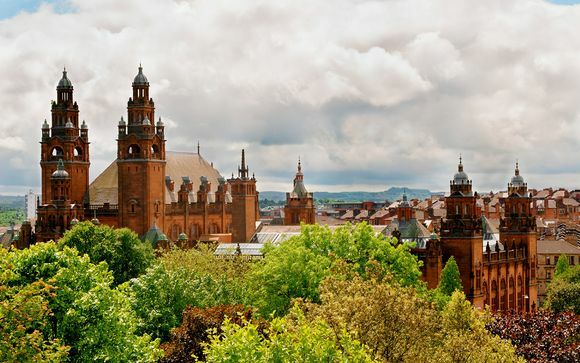 With a variety of different things to see, from stunning fine art to interesting local discoveries, Kelvingrove is a must-see for those looking to learn about Glasgow’s rich history in the arts. For those whiskey-lovers, the iconic Clydesdale Distillery is a must-see, offering visitors an insight into how Scotland’s favourite alcohol is created. With seasonal events and beautiful sights to explore year-round, this manor and its gardens are the perfect pick for those travelling with pets thanks to its dog-friendly nature. Football fans can get up close and personal to one of the country’s most famous stadiums at Celtic Park, with tailored tours offered throughout the year.